TVD Season 3 Mock Poster 2. Another پرستار Art Creation of mine done in Photoshop and Poser 8. HD Wallpaper and background images in the The Vampire Diaries club tagged: the vampire diaries the sun also rises poster season 3 elena nina dobrev robert wood awesome art julie plec kevin williamson. 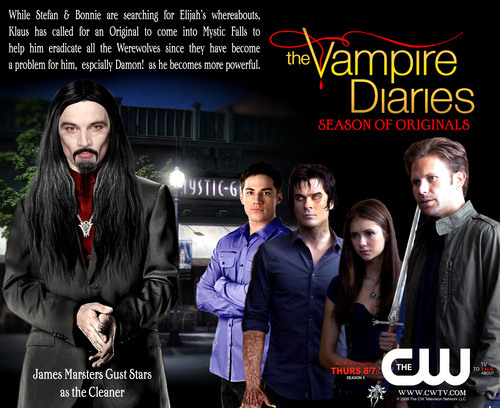 This The Vampire Diaries fan art contains کاروبار سوٹ, بزنس سوٹ, اچھے کپڑے پہنے شخص, سوٹ, پتلون سوٹ, pantsuit, اچھی طرح کپڑے پہنے ہوئے شخص, پنٹساٹ, پہناوا, overclothes, آؤٹر, and اوورکلوتھیس. There might also be overgarment, بیرونی چادر, اوورگآرمانٹ, لباس سوٹ, مکمل لباس, tailcoat, پونچھ کوٹ, دم, سفید ٹائی, سفید ٹائی اور دم, تالکوت, دم کوٹ, سلیک سوٹ, and ڈھیلے سوٹ.